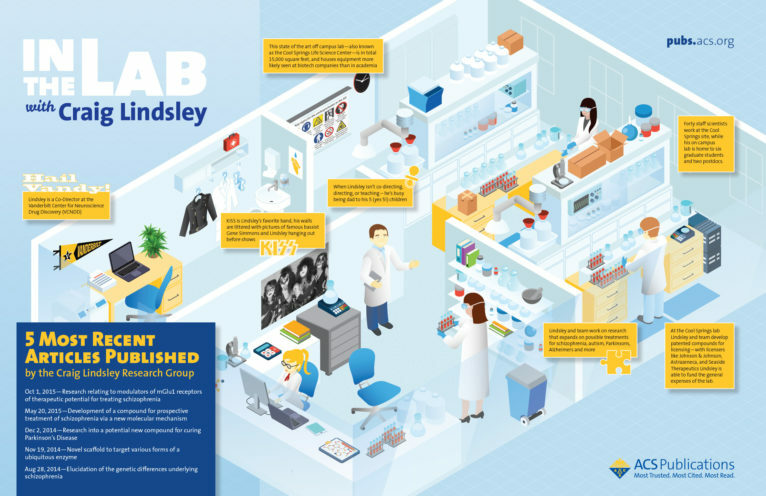 Last month, ACS Axial held a contest asking readers to send in photos of their labs, classrooms, offices or wherever they do their best work. Today I am proud to announce the winner: Dr. Greg D. Smith of the Conservation Science Lab at Indianapolis Museum of Art at Newfields. The 3,000 square foot state-of-the-art analytical and research laboratory is used for the study of artists’ materials. The table is carved from mahogany, with a frame made of ebonized quarter sawn oak. The table was constructed by one of the lab’s master carpenters, Jim Bayes, with other craftsman efforts from paintings conservator Linda Witkowski. 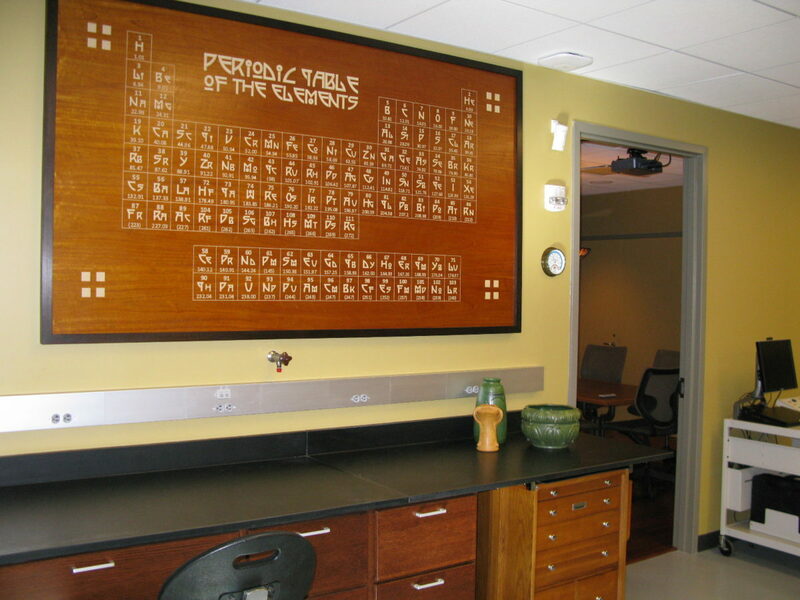 Note, the lab was opened in 2010, so the table doesn’t reference the elements added in recent years. Congratulations to Dr. Smith and the staff at the Conservation Science Lab at Indianapolis Museum of Art at Newfields on their beautiful lab space.